Psychotherapy, Psychoanalysis, Hypnotherapy, Counselling, Psychology, Life coaching, NLP, CBT, complementary therapies, Meditation, Mindfulness, eastern psychology. Both therapists: Hypnotherapy CNHC division. Accredited voluntary registers are under the authority of the Professional Standards Authority. They check qualifications, experience, fitness to practice and criminal records. The CNHC is the regulator for complementary therapies set up with government funding (arranged by a body set up by HRH Prince of Wales) and who are responsible for the voluntary regulation of Complementary Therapies in the UK. Both Therapists Adhere to the Industry National Occupational Standards where appropriate. Stuart & Denise receive regular clinical supervision. WE DO NOT PROVIDE STOP SMOKING SESSIONS!! We are a mental health and psychological issues based practice and do not do conveyor belt type therapy, including "stop" sessions. If you search for "stop smoking" at the Hypnotherapy Directory online you will find plenty of providers. www.scotlandtherapy.org New high graphics site now available. This site has more detail and information including google maps of clinic locations. We are registered with professional bodies for psychotherapy, counselling, hypnotherapy, life coaching, psychology and complementary therapy. This is different for each practitioner. We have City Centre bases in Edinburgh, Falkirk and Glasgow. We have Edinburgh bases in central Edinburgh at the Healthy Life Centre, and near the Edinburgh University Campus in Causewayside. Our Glasgow Clinic is in the City Centre. Our Falkirk clinic is just a few minutes from Falkirk City Centre. We adhere to appropriate NOS National Occupational standards for the therapies that we provide, and both staff members are accredited to nationally recognised standards. We have two fully qualified therapists on staff, and a network of trusted colleagues around the UK we refer to. We are holistic psychologists, psychoanalysts, life coaches and complementary therapists with our main bases in Edinburgh and Glasgow. Denise is a CCC and NACHP registered counsellor and provides counselling, CBT, life coaching, complementary health and holistic psychology. Stuart is a NCP (Fellow) and NACHP registered psychotherapist and counsellor with a MSc Psychology and provides psychotherapy, hypnotherapy, counselling, NLP, CBT, Life coaching and holistic psychology. Denise also now specialises in Mind and Body Psychology. She offers combined Indian Head Massage for Tension, with Counselling and Life coaching. The Massage reduces physical tension and stress, allowing for easier counselling and coaching support. Both therapists have Emergancy first aid at work training..
We adhere to appropriate National Occupational Standards, carry professional insurance and support voluntary regulation of therapists. Stuart & Denise are both CNHC registered hypnotherapists (voluntary regulation of hypnotherapy). CNHC is the voluntary regulator set up with government funding and support and is an Accredited Voluntary Register (maintained by the Professional Standards Authority). What sort of Psychotherapy, Hypnotherapy, Counselling and Life Coaching is provided in Edinburgh, Glasgow, Falkirk? We are complementary health practitioners, not alternative health practitioners. This means that we work WITH the medical profession. If you have an illness or injury, or if you are going to embark on a new diet, fitness plan or if you have any uninvestigated symptoms, you must consult your medical doctor. We do not use western medical models, and we do not "treat" people. We work with clients to assist them in attaining their goals. All therapies are provided according to professional standards, appropriate National Occupational Standards, and in cooperation with the medical profession. Psychotherapy, especially CBT, is often recommended by NICE. 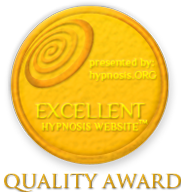 Hypnotherapy is also recommended by NICE and Anxiety UK for some conditions, and counselling is recognised as an established talking therapy. We have locations in Edinburgh, Glasgow, Falkirk and an optional base at Dunkeld. Stuart is a well qualified, registered and monitored psychotherapist and counsellor. Denise is a registered and monitored counsellor and complementary therapist. We support appropriate government voluntary regulation and have campaigned for it for years. We already adhere to hypnotherapy regulation. - Moving on from offending and related "trouble"
Who provides psychotherapy, counselling, hypnotherapy, life coaching, NLP, CBT and psychology based self management in Edinburgh, Glasgow, Falkirk? Stuart is a counsellor, psychotherapist, hypnotherapist and coach. Denise is a counsellor, coach and complementary therapist. Both are Life Coaches and Solution Focused Holistic Therapists who have qualifications at levels 3 and 4 in Psychotherapy or Counselling. Stuart is essentially a transpersonal and integrative psychoanalyst and holistic psychologist, Denise is essentially a complementary health therapist, counsellor and holistic psychologist. Whether you are looking for psychotherapy, counselling, hypnotherapy, life coaching, CBT, NLP, anger management, mental health management, bipolar and depression management, anxiety management, eastern psychotherapy or integrated holistic psychology, we have the professional expertise to support you in Edinburgh, Glasgow and Falkirk. Integrative and Solution focused therapy is results and outcome based, but is often guided by theory and thinking from subjects including Eastern Medicine, Philosophy, Theology, Social Policy, Health Education and Psychology. Stuart and Denise have completed a range of training courses and qualification courses in these topics and are committed to further University study of these topics in order to inform and develop professional practice. Stuart employs spontaneous style Qi Gong, Chi breathing, Zen Reiki, meditation, visualisation and mindfulness techniques from Buddhism in his practice. He also employs Taoist philosophy, Buddhist philosophy, interfaith philosophy and japanese complementary holistic styles in assisting his clients. Both therapists are Reiki attuned in various styles and use Reiki healing and philosophy where appropriate. Thus integrative psychotherapy, counselling, life coaching and hypnotherapy also combine knowledge and skills from different subjects and cultures. Stuart is a Fellow of the National Council of Psychotherapists and a full member of the National Association of Counsellors, Hypnotherapists and Psychotherapists. Denise is a CCC and NACHP registered Counsellor and both practitioners are SHTC registered therapists. Stuart & Denise are both CNHC registered hypnotherapists (voluntary regulation of hypnotherapy). - Live the life you deserve, rather than just "surviving"
With the combination of lifestyle coaching and professional therapy, your well being and personal development can be addressed from a far deeper level. This permits change that is not just symptomatic, but really lasts because underlying emotional, psychological and spiritual factors are address or balanced. Usually Life Coaching, Hypnotherapy, Psychological therapy, NLP and related therapies suffer from the fact that the goal setting they depend on do not include enough deeper meaning. With the inclusion of the holistic side this is remedied. This avoids the situation of wonderful financial success, without happiness! No such problem with our assistance! Medical conditions are only addressed with the ongoing supervision of a medical professional such as a GP. Conditions such as IBS can be addressed in line with NICE guidelines as long as the client has checked with their GP first. Mental health conditions are addressed in the context of psychotherapy, in line with NICE recommendations including the use of CBT based psychological therapies. We do not "treat", "diagnose" or claim to "cure" ANY medical or mental health conditions. Where the GP is happy for us to do so, we may use hypnotherapy, complementary or appropriate psychological therapies to assist in the management of the client's condition, as long as they remain under the supervision of a medical professional. Therefore we only address such conditions where deemed appropriate by NICE, as accepted psychotherapy or counselling assistance, or where a medical professional has stated a professional medical opinion that it is appropriate to do so. Practitioners have different exact affiliations and registrations. Exact details on request.